The sector has 1,027 companies whose annual turnover exceeds EUR 145,00, and their aggregate turnover is EUR 1.235 billion, profit – EUR 61 million, while the number of persons they employ exceeds 30,000.35% of the industry’s turnover was in the catering sector (526 companies with an aggregate turnover of EUR 436.759 million), followed by accommodation/lodging and tourism services sector – 34% (275 companies with an aggregate turnover of EUR 422.756 million), and entertainment and sports – 30% (226 companies with an aggregate turnover of EUR 375.786 million). 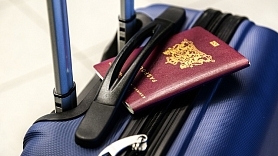 In 2011, the number of foreign tourists visiting Latvia increased by 21% when compared to 2010. Furthermore, there was also a 14% increase in the amount of money tourists spent in Latvia. In 2014, Riga will also become Europe’s Capital of Culture.